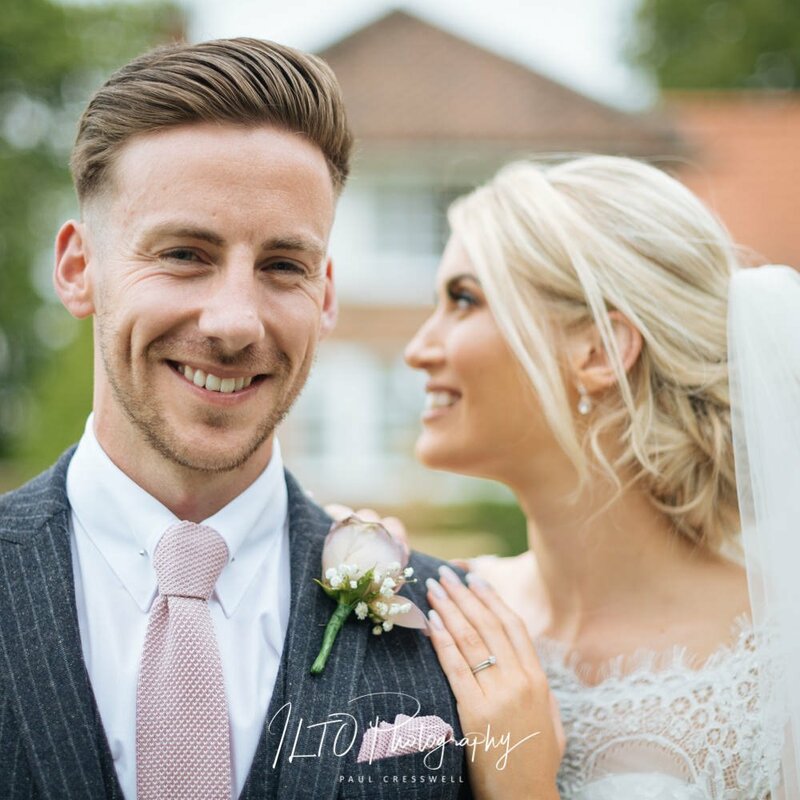 The Bridge Wetherby is one of our absolute favourites, so thank you Danielle & Joe for choosing it! It was built around a 17th century coaching in, and Byron was also married there. They also have a brilliant spa and an awesome restaurant. It’s the fact that the venue has a bit of everything to offer if the weather gets gnarly that we love the most! There are courtyards, a small fountain, well kept gardens and a pagoda, and plenty covered spaces! So this leads us on to Danielle and Joe’s wedding. As always, the arrival to the venue nice and early (never trust the A1 on a weekday morning!). Clare and I were greeted by a very very quiet group of bridesmaids being “worked on”. Makeup lamps, hairdryers, and flowers – tick! Danielle, the bride, was as relaxed and bubbly as ever! Venue shots, shoes and details – tick. Joe, the groom arrived in plenty of time too, which was great. This gave us 10 minutes to get some nice groomsmen shots sorted. With 3 best men and a top father of the bride, I knew that the day was going to be a good one! The Bridge Wetherby ceremony room is called the Byron Room. It’s lovely, and there’s plenty of natural light, until everyone stands up, then it goes, but hey, we know this so we’re prepared! He did, she did, they did. A kiss, some claps and cheers! Outside into the beaming sunlight, grab some bubbles on the way, and let’s nail the formals! 30 minutes later, everyone could relax. Clare went to capture the wedding breakfast details; I dropped into candid mode. Food and speeches done, we sneaked off to the courtyard to get a few special shots just for the 2 of them. I know we’re only at the start of the wedding season really, but I honestly think we might be hard pushed to have a better wedding all year. That puts extra pressure on the rest of our 2018 brides and grooms, but I’m sure they’ll give Danielle and Joe a run for their money!